Members earn 60 points with this purchase. 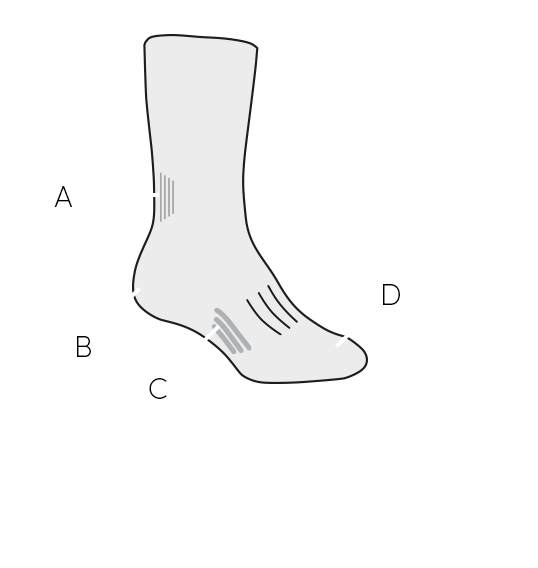 The ultimate casual socks that offer a premium combination of breathability, stretch and durability, the Lifestyle Ultralight Crew Gradient Stripe are your go-to socks for everyday comfort. The uncushioned design features Achilles and instep support to help keep the sock in place, while the stretchy, ultra-fine blend of merino wool, nylon and LYCRA® makes for all-day comfort. Reinforcements in the heel and toe provide long-term durability while the seamless toe closure reduces bulk and prevents blisters.